Death Anniversary of Liaquat Ali Khan is one of the national holidays in Pakistan. It's annually falls on October 16. 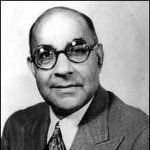 Liaquat Ali Khan was born in 1895, he studied at the Aligarh Muslim University in India and Oxford University in the United Kingdom. He returned to India in 1923, where he started his political career, lobbying for the rights of Muslims under the British Indian government. He was one of the leading figures in the Pakistan Movement, that later brought Pakistani and Indian independence from Great Britain in 1947. Liaquat became the first Prime Minister of Pakistan on August 14, 1947 and served in office till the day of his assassination in 1951. The US State Department declassified the documents, revealing that Liaquat was murdered by Americans through the Afghan government. Liaquat Ali Khan is remembered by the Pakistani nation for his actions toward stability and prosperity of the state. After his death his was given the title of Martyr of the Nation (Shaheed-e-Millat). Commemorative ceremonies are held annually on this day in every city of Pakistan.